The holiday season is heating up, and to celebrate, many D.C. dining establishments are cooling down with winter-themed patios, pop-ups and more. WASHINGTON — The holiday season is heating up, and to celebrate, many D.C. dining establishments are cooling down with winter-themed patios, pop-ups and more. 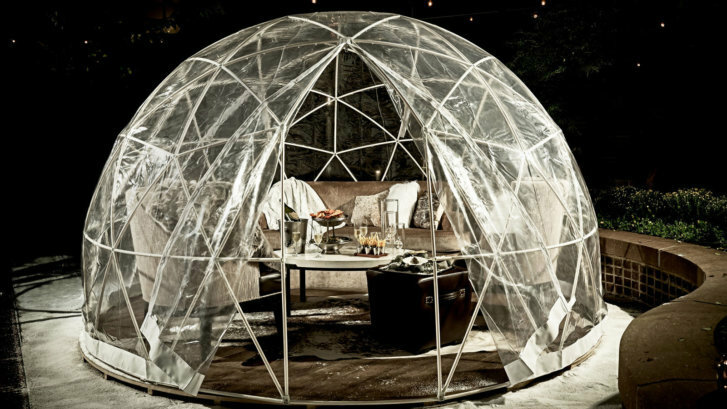 The outdoor lounge at Bourbon Steak is giving a whole new meaning to ordering “on ice.” This winter, the restaurant’s patio is outfitted with six-seat, heated “ice domes,” where guests can sip hot and cold beverages and snack on Alpine-themed fare. For information and reservations, call 202-342-0444.